Ok, I know saying that this is the best KFC fried chicken recipe on the internet is a bold statement. But honestly, I know what I'm talking about! A few years ago, I visited KFC headquarters and got an excellent inside look at their ingredients and processes. I learned how fresh all their ingredients are, talked to chefs and food scientist, and got to see how they make their chicken. I even made a video that's proven to be very popular on YouTube: How KFC fried chicken is made. Did you look at it? It currently has over 500,000 views! Watch it to check out the authentic KFC chicken frying technique! What's in the KFC secret recipe? 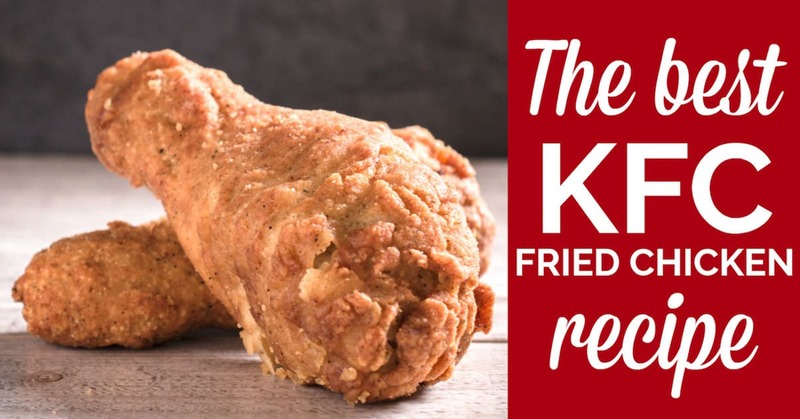 Here's the truth about the real KFC original fried chicken secret recipe: there are only a few people who know it. It's locked in a vault. Even the people who put together the actual KFC breading mix don't know what's in it. Some of the ingredients in the recipe come from one location, and some ingredients come from a second location. 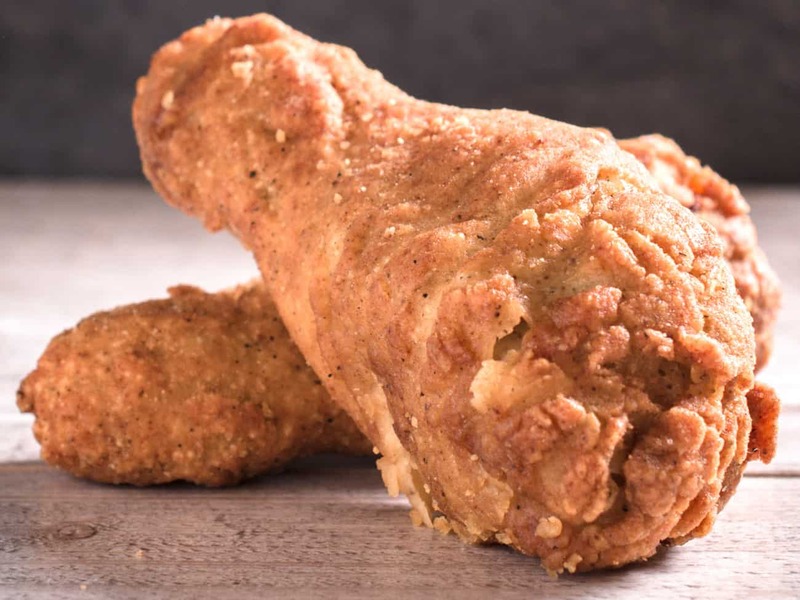 All of the ingredients are combined at a third location, meaning no single worker has his or her hands on all the ingredients that make up KFC's 11 secret herbs and spices. That's an interesting process, but it's pretty cool to know that the brand puts a lot of value on its secret recipe. A quick search reveals far more than 11 herbs and spices in KFC fried chicken. One recipe included ground vanilla bean. Another called for ground cardamom. One of the recipes I looked at had a quarter cup of pepper AND a quarter cup of paprika! One weird KFC fried chicken copycat recipe clearly stated that the 11 secret herbs and spices was a myth, and that there were only four ingredients in the entire recipe (salt, pepper, flour and MSG). I honestly couldn't get on board with any of those KFC copycat recipes. One taste of KFC fried chicken and you know it's seasoned with more than just salt and pepper. And vanilla? Cardamom? I had my doubts. Should you soak chicken before breading it? Another inconsistency with all the KFC copycat recipes out there is what to do with the chicken before you bread it and fry it. A few recipes I found didn't instruct you to do anything with the chicken. Just get it coated and into the fryer. But real chicken from KFC is juicy and flavorful on the inside. It's more than just a delicious coating on the outside. I came across a few recipes that said to brine the chicken in a spiced and salted water bath to infuse it with flavor. This is definitely a tried and tested method for making excellent chicken. It's just not the best possible way to make your KFC fried chicken recipe. The most authentic recipes said to soak all the chicken pieces in a buttermilk mixture for at least 30 minutes and up to 24 hours before moving on to the seasoning and cooking. Why soak the chicken in buttermilk? I didn't know why chicken marinated in buttermilk produced such good flavor, but this forum helped answer my question. 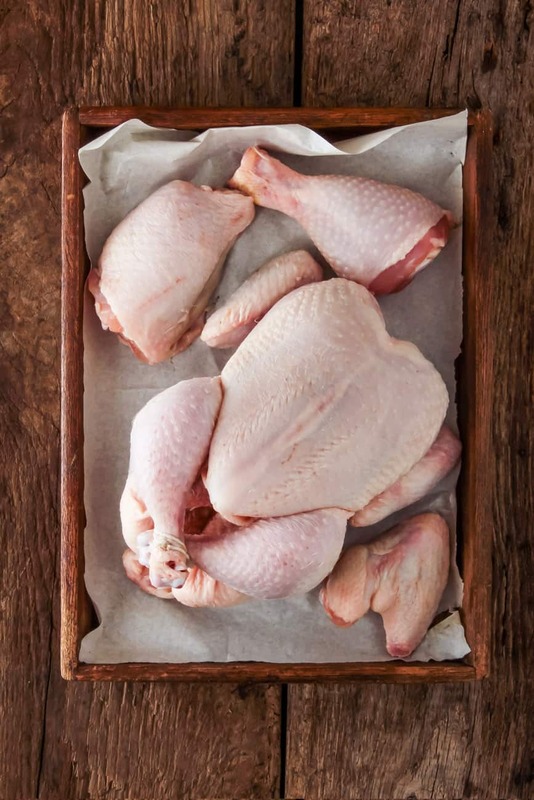 The high amount of lactic acid in buttermilk tenderizes the chicken meat, while the milk fat infuses flavor into the chicken. 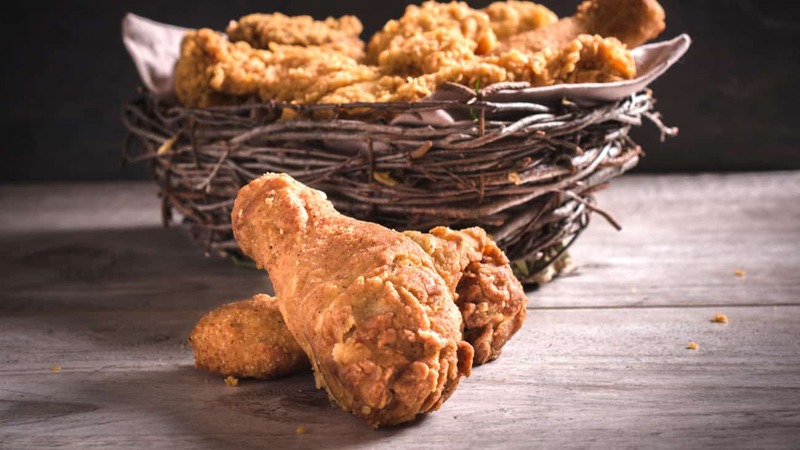 Now that you know the background and a few different possibilities for some of the ingredients in KFC's fried chicken, it's time to get to the recipe! 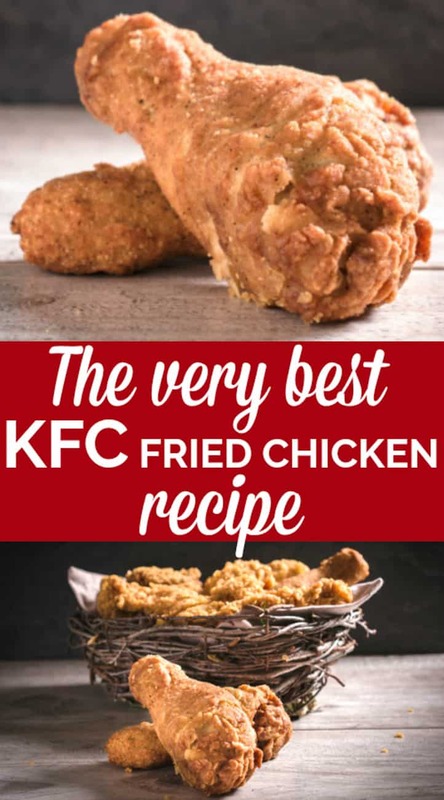 I have a few tips and notes that you should definitely pay attention to before making this KFC fried chicken recipe. Some people place a lot of importance on various pieces of fryer chicken. If you do, you probably already know that legs and wings cook much faster than chicken breasts and thighs. Instead of cooking a whole chicken or a variety of parts, I've found it much easier to make batches of any kind of chicken (not just this KFC recipe) using the same cut of chicken for all the pieces. Knowing that they all cook at the same pace helps me be more efficient in the kitchen. If I'm just feeding my husband and kids chicken I usually cook all drumsticks. 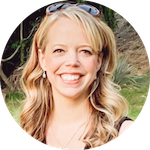 They're the easiest for my kids to eat! 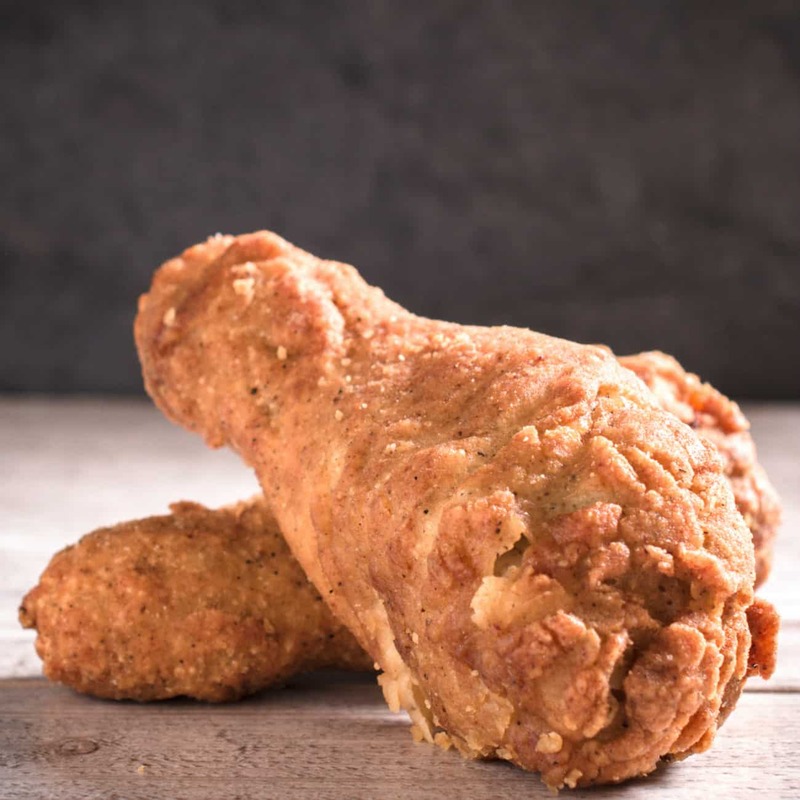 KFC fried chicken made in actual restaurants is cooked in an industrial pressure fryer. The average person doesn't own one, so your cooking method won't be identical to how KFC makes their fried chicken. A tabletop deep fryer is the most controlled way to deep fry at home, but make sure you have one big enough to fry more than two or three pieces of chicken at a time. This deep fryer is the right size with excellent reviews. Deep frying chicken without a deep fryer? 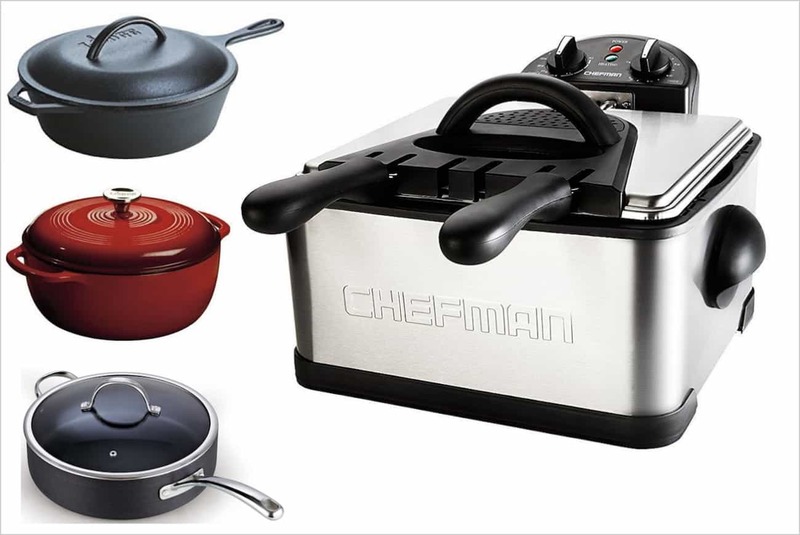 If you're not up to owning a deep fryer, you can use a heavy pot on the stove, especially if you're frying smaller pieces. I've seen some huge chicken breasts and really plump chicken thighs in the grocery store, so make sure the sizes will fit in your pan of choice. 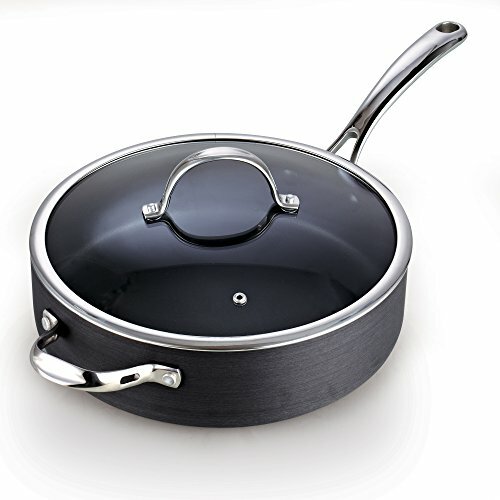 If you do some research on deep frying on a stove, you'll hardly see any recommendations for using anything other than a frying pan. I find this strange–I wish more people would suggest deep frying in dutch ovens. Using a deep pot minimizes splatters, which is a big deal where I'm concerned. 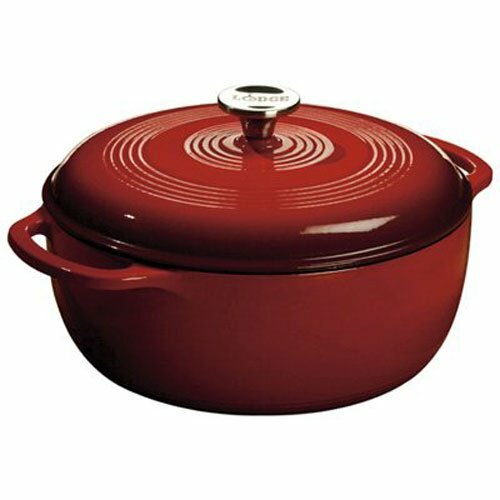 Plus, there are a million uses for a heavy dutch oven. 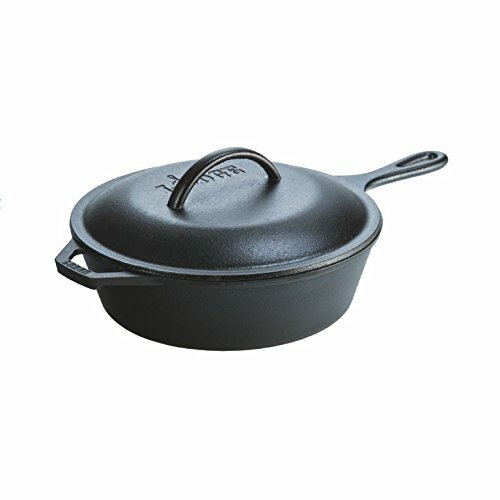 If you have one you'll use is for far more than just one fried chicken recipe! Choosing your oil for deep frying anything can be confusing – there are so many options! Peanut oil: If you're new to deep frying try to use peanut oil. It's nearly flavorless and it burns at a higher temperature than most other oils. If you only deep fry once in a blue moon then Crisco is a great option. If you're deep frying on a regular basis, you should probably use canola oil or grapeseed oil. Or get an air fryer. Canola oil: This is another good choice for deep frying chicken. A thermometer. I like an instant read thermometer with a probe. The probe can be used to check the temperature of your oil. It can also be inserted into meat to ensure you're not eating raw chicken. 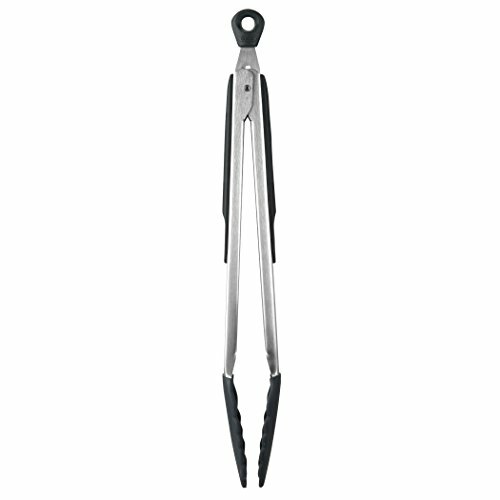 Heatproof tongs: Make sure your tongs have parts of the handle that aren't metal so they don't heat up too quickly. Also be sure that the business end of the tongs can withstand high temperatures. These tongs are heat resistant up to 600 degrees. A skimmer to gently scoop chicken out of the oil if the tongs are tearing the coating. 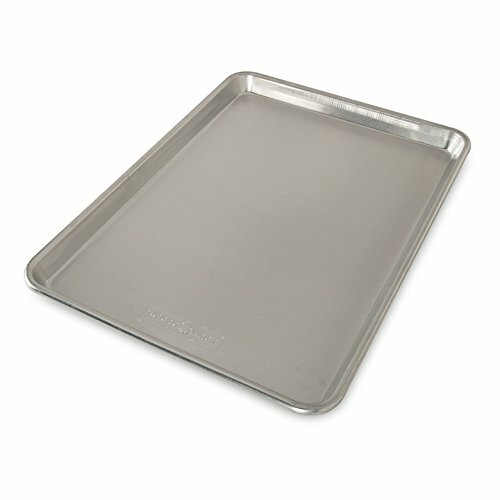 A splatter guard to put over your pot or pan to protect yourself from hot oil. 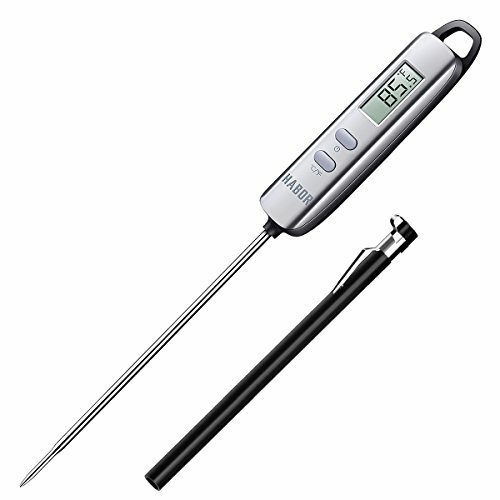 A meat thermometer to make sure your chicken is cooked without cutting into it. There are a few steps to making this, so I'm breaking up the ingredients into sections. I'm hoping that makes the KFC fried chicken recipe easier to follow. Peanut oil, vegetable shortening or canola oil. See the above section on Oils for frying your KFC fried chicken for more details. Mix the buttermilk with the beaten eggs in a deep container. Let the chicken marinate in the buttermilk for at least 30 minutes. 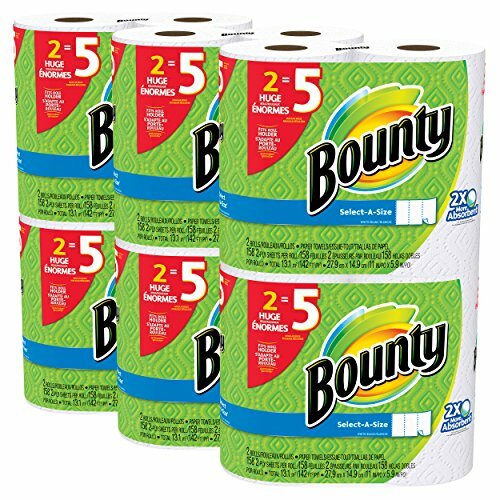 Line a baking sheet with several layers of paper towels. 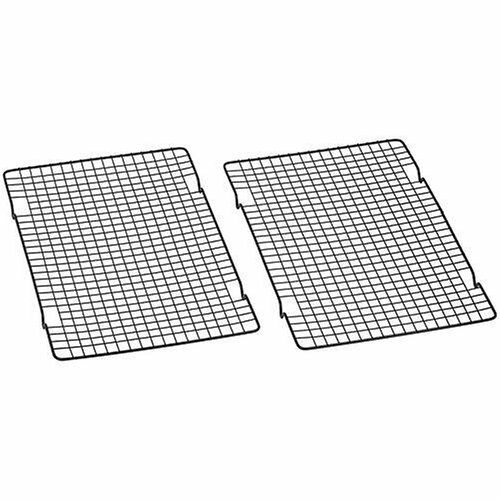 Set your wire rack on top of the sheet. 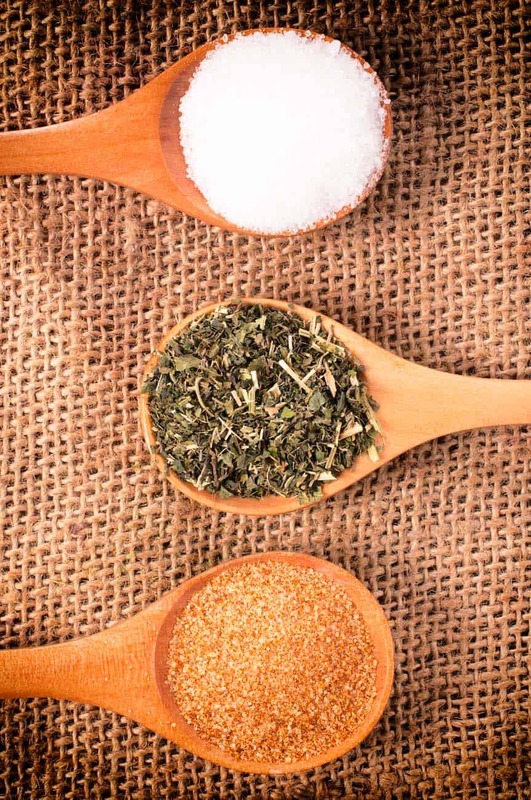 Combine the 2 cups of flour with the 11 herbs and spices in a big bowl or deep container. 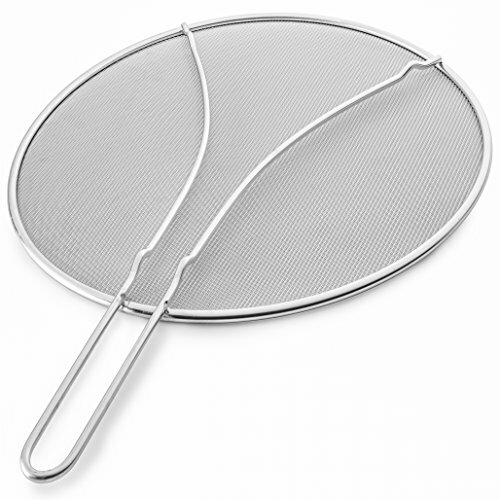 Use a whisk or a sifter to make sure it's all evenly distributed. Drain as much of the marinade as you can. Toss the chicken in the flour, herb and spice mixture until it's all evenly coated. Fry the chicken in small batches (2-4 pieces at a time, depending on the size of your pot or fryer). Breast and wings take 12-14 minutes, legs and thighs take a bit longer. Flip the chicken pieces halfway through the frying process. 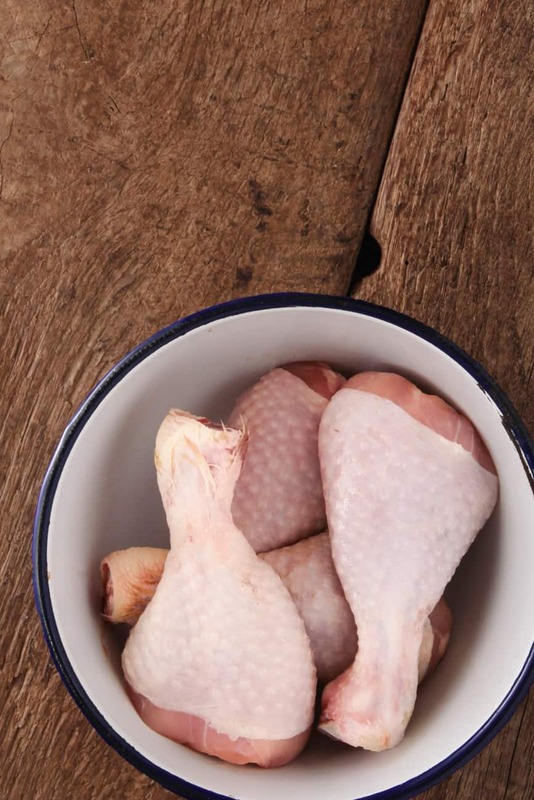 Use your meat thermometer – your chicken is fully cooked and safe to eat when it reaches 165° F.
Place the chicken on the wire rack to cool enough to touch. Sprinkle lightly with Accent flavor enhancer, salt and pepper to taste. Serve hot or cold, depending on your preference. Saying that this is the best KFC fried chicken recipe on the internet is a bold statement, but I know what I'm talking about! The marinade, the herbs, the spices. This is the whole copycat recipe with detailed directions right here. Have you made your own KFC fried chicken before? I'd love to hear if your recipe is different than mine! Great taste, just like the original KFC chicken!